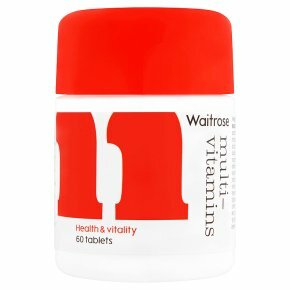 A balanced source of 11 essential vitamins for optimum health including vitamins B2, B6 and B12 for energy support and the reduction of tiredness and fatigue, as well as Pantothenic Acid, which contributes towards normal mental performance. Do not exceed the suggested daily dose. Do not purchase if seal is broken. Food supplements should not be used as a substitute for a varied diet or healthy lifestyle. Store in a cool dry place out of the sight and reach of children. Not suitable for children under 12 years of age. This product contains Vitamin A. Women who are pregnant or planning a pregnancy should consult their doctor before taking supplements.